“Whilst we already offer mandatory training on things like dangerous goods and air cargo security, we believe there is a need to take things a step further with a recognised standard. BIFA wants to improve the quality of education and skill development all round and in particular encourage the next generation of freight forwarders in their careers and we feel an application could and should be made for specific freight forwarding apprenticeships under the new Trailblazer standards. “Here, the UK government has tasked employer-led groups (Trailblazers) to work together to rewrite the apprenticeship standards with the intention that all current frameworks will be removed over the coming year or two and replaced with the new standards. “In the last few years, our focus has been on regulatory issues that affect our members’ activities such as the changes to the European Union Customs regime and container VGM. But with an ever-increasing average age demographic among UK forwarders, training linked to recruitment is our next big objective. BIFA recently appointed Carl Hobbis, formerly of DB Schenker, as Training Development Manager in a move aimed at driving forward the trade association’s training activities. Hobbis explained that the Association is planning to survey its members and the forwarding industry in general to find out what they are looking for in regards to training and education. The first of these surveys, on apprenticeships, is currently online and is designed to help BIFA ascertain whether there is sufficient demand for it to develop and establish apprenticeship standards for freight forwarders. BIFA plans to launch another survey shortly to find out whether companies would be prepared to train individuals for a non-mandatory qualification, and if so, how it could be done. BIFA has said that it would like to develop a professional qualification that would create a ‘certified’ freight forwarder, as exists in other countries such as Germany, Canada, Australia and Singapore, which have much more sophisticated professional training and development programmes. 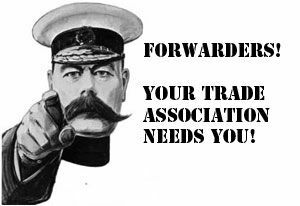 UK forwarders who would like to participate in the survey – members of BIFA or not – can access itHERE.